If you are looking for a mortgage or to remortgage, you may be worried that having an adverse credit history will prohibit you from doing so, although the bigger lenders in recent years have become less willing to lend to people who have a history of bad credit on their file. There are however a range of mortgages for poor credit applicants which might be suitable for your needs. While it is true mortgages for poor credit borrowers can be harder to come by from the mainstream high street lenders, it does not necessarily preclude you from being able to find finance. 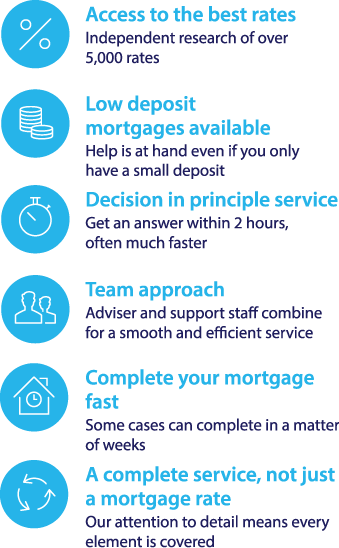 There are a range of specialist lenders who have specific mortgages for poor credit borrowers that you may wish to consider, some however may only be accessible via an independent mortgage broker. Exactly what specific mortgages are available to you will depend on your credit score and the reasons behind it, for instance you may find there are more mortgages available to you if you have previously missed one or two mortgage payments, however if you have declared bankrupt in the past or had a property reposed you may be limited to mortgages from specialist lenders. As lending to people with poor credit scores inherently poses a larger risk to the lender the severity of your credit history will affect the cost of your mortgage repayments. You may also need to put down a larger deposit than you would expect for a standard mortgage of the same size. When applying for a mortgage with a bad credit history, providing as much evidence as you can that shows you can afford to keep up with your repayments may improve your chances of being accepted by a lender . If you’re currently looking for a bad credit mortgage you might find it helpful to use our Mortgages calculator. you just need to enter the relevant details such as how much wish to borrow and select ‘Bad Credit Rates’ from the drop down menu and the tool will be able to filter you a selection of mortgages from different providers that might fit your requirements. You may also however find the services of a mortgage broker who can compare the whole of the market beneficial, not only might a independent intermediary be able to offer you professional insight they can access specialist lenders which potential borrowers can not apply for directly with a number providing lending if you have had previous credit defaults. Fair mortgages offer a whole of the market service, which means you will not be limited to a select pool of providers. Fair Mortgages can also grant you access to a selection of credit repair mortgages which you will not find available on the high street.